Flat land, straight road. 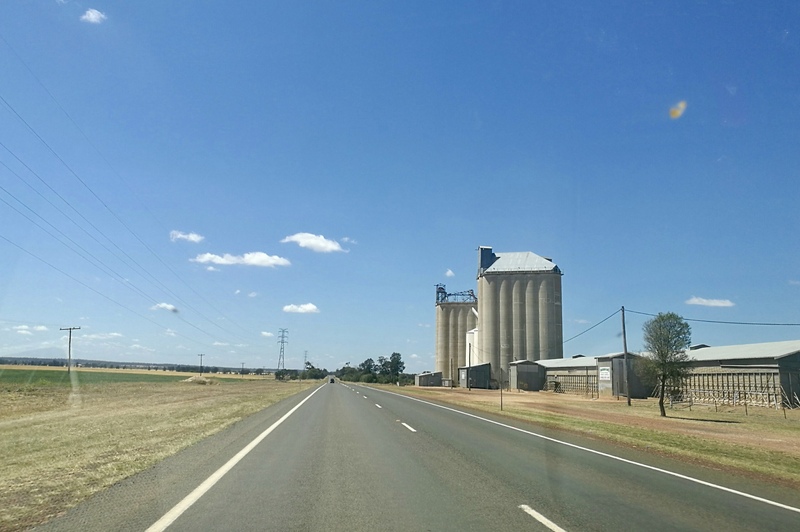 I’m driving from Roma to Dalby on the Warrego Highway, following the railway line through tiny towns with enormous grain silos. The road has an uneven surface. It’s difficult to keep a road surface level in this landscape of soft, deep black soils, especially as road trains come this way. In drought times, as it is now, trucks haul hay to the dry farms to the west, and they haul cattle east to sale yards or agistment. There are no passing lanes. I choose a good spot, take a deep breath and bowl past a truck hauling two trailers of cattle. East of Roma, that’s the limit: two trailers, up to 36.5 metres total. West of Roma, road trains can have three or even four trailers and be up to 53.5 metres long. Passing them on a dual carriage road takes nerve for a city driver like me, although local utes and SUVs fly past them. Road train drivers may be direct descendants of the drivers of horse and bullock teams that did the haulage a hundred years ago, on the gravel roads and dirt tracks of the time. George Lambert’s 1899 three-metre-long painting, the heroic Across the Black Soil Plains, is one of the treasures of the Art Gallery of New South Wales. The painting depicts a horse team straining to haul a load of wool bales across New South Wales plains country much like the country I’m driving through today. This ground is muddy, though. The horses and the teamster’s legs are muddy, and the load is leaning dangerously. The scene defines hard, frustrating labour. After rain, this fine, black soil becomes notoriously sticky. Con and I found out just how treacherous it can get when we visited a homestead in black soil country near Barcaldine. We drove there in our Falcon: a great car for long journeys on bitumen, but not so good in mud. While we were having a cup of tea there was a shower of rain. We said our goodbyes and started to drive back to the gate, five hundred metres away. The Falcon went its own way on the slimy black soil and slid off the edge into the muddy paddock. A station hand in a Toyota ute tried to tow us out, but the car was too heavy. They hitched another Toyota to the first one, and both of them strained, exhaust fumes gushing. Slowly, the car slithered its way down the muddy track behind the straining utes. They towed us across the road, facing back towards town. The Falcon had black mud up to the windows. The driveway into the station looked like a ploughed field – they would need a grader to fix it. There was nothing Con and I could say or do except apologise and head back, shamefaced, to town. It took us hours to get the mud off the car – out of the wheel nuts and tyres, off the panels, the number plate, grill and headlights, the floor, even the seatbelts. Months later we were still finding pockets of black soil under the seats. Here on the Warrego Highway, shiny-leafed brigalow scrub lines the road on both sides. Every so often a patch of prickly pear cactus provides a reminder of the heart-breaking scourge of these farm lands in the late 1800s and early last century. Prickly pear from the Americas was introduced in the 1800s, and soon it was choking the land. 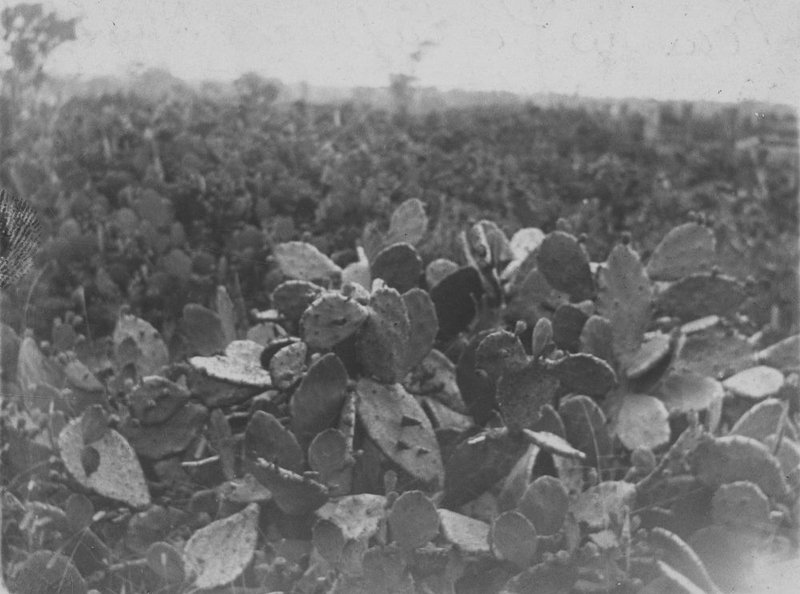 There were forests of prickly pear, and by 1920, 23 million hectares of land was affected. Con is looking at the map to pass the time while I drive. This country is not flat, although it looks that way from the road. It is gently rolling downs country, rich agricultural land producing cattle, fodder crops and wheat. 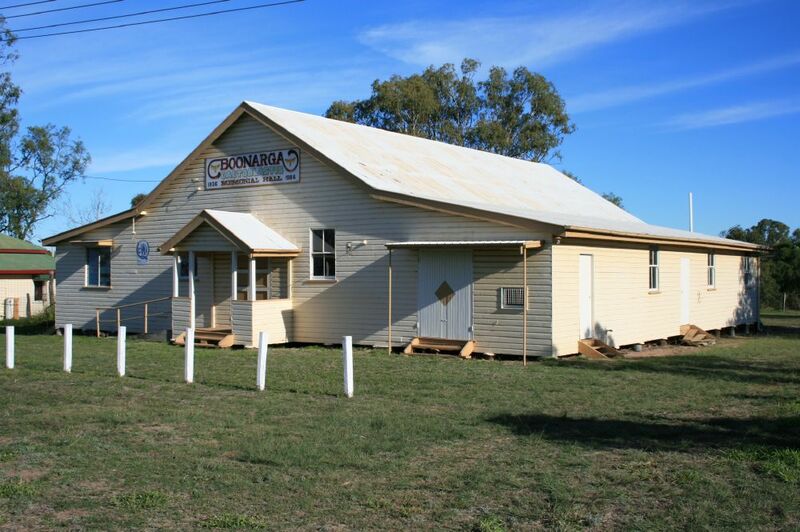 East of Chinchilla, at the tiny township of Boonarga, we pass the Cactoblastis Memorial Hall. In 1925, as the result of government-sponsored research, three thousand cactoblastis moth eggs were imported from South America and distributed around the Chinchilla area. The larvae killed the prickly pear. Those larvae were local heroes. This is the only hall I know that was dedicated to a bug. On the outskirts of Dalby, a road turns left to Jandowae. I lived in Jandowae, on the Northern Darling Downs, when I was a teenager. It was small and friendly, cold in winter and blazing hot in summer: a complete change from where my family had lived until then, in Nambour and Brisbane. We all loved it. Soft, deep, fertile black and brown soils make up a large part of Queensland’s geology. If you’re driving along a country highway and notice that the power poles and fence posts are slightly crooked, leaning at strange angles, you’re driving through black soil country. It’s fine country for grazing and for cultivation. A great deal of Australia’s food comes from black soil country; and under the plains lie the priceless, ancient water reserves of the Great Artesian Basin. Unfortunately, there are also huge reserves of coal and gas underneath this country. The Galilee Basin is said to be one of the largest untapped coal reserves on the planet, and nine huge mines are planned for the region. I hope they know what they’re doing. It seems a terrible shame to risk ruining fine land and priceless water with gas wells and open-cut coal mining. You can’t grow food in a mine pit. My grandparents lived in Roma and we drove this highway so many times when I was young. I wish those in power would stop approving coal mines and put their time and expenditure into solar power. We have an abundance of sunlight as well as coal. It’s so frustrating.